The Beatles went through several formative phases during their incredibly successful career. The series of mono 180 gram vinyl LP releases in mono is a tribute to their originality. The albums are how the band believed they should sound after recording. Rubber Soul was a pivotal album that initiated a major change in their style and complexity with music, lyrics and overall direction.The album came on the heels of the enormously successful Help! album and subsequent movie. 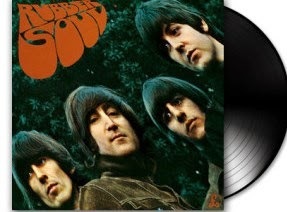 The McCartney and Lennon writing partnership reached new heights with Rubber Soul. “Nowhere Man” and “In My Life” are fine examples of their maturity with the lyrics and the musical presentation. These classic tracks still stand as monumental achievements in The Beatles catalog of recorded works. Of course the all-important lead off track “Drive My Car” was nothing to sneeze at; it was an incredibly huge hit and a great way to kick off the album. Ringo got his moment in the spotlight leading off side two of the LP with “What Goes On.” He also got writing credit with Lennon and McCartney under his real name Starkey. The songs Ringo provided lead vocals on always had a different musical direction and a welcome one at that. This one had a certain country twang that separated it from all the others besides Ringo’s very distinct vocal style. So The Beatles released yet another album chock full of hits just as everyone expected. What was to come after this recording would set them on a path into the world of psychedelic rock with more intricate music followed by a succession of complex lyrical endeavors. This made them less predictable and multi-dimensional (in a good way). With each subsequent release things got more adventurous and experimental but Rubber Soul is where the biggest change happened ushering in new era for the mop tops.